It’s that time again! 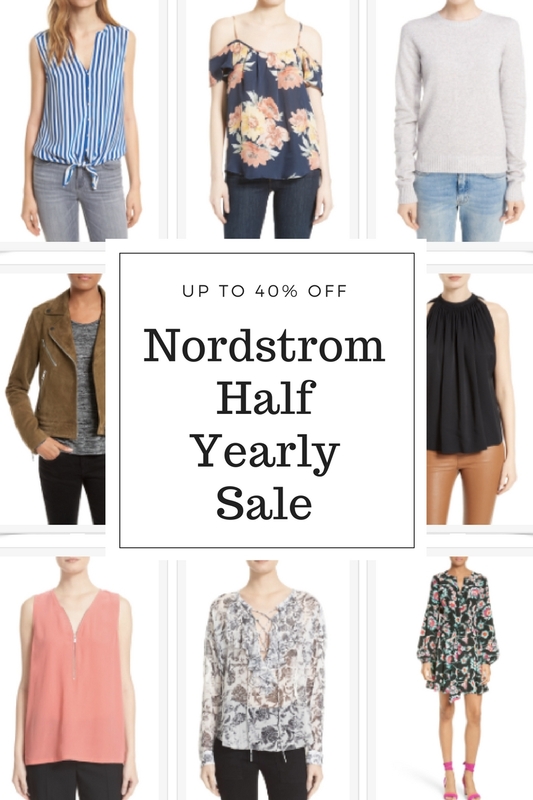 From now until June 4, you can shop up to 40% off in Nordstrom’s Half Yearly Sale. It’s the perfect time to snag last seasons’ faves for a great price. There are even blogger favorites in the sale, including Hunter boots, Chloé bags, and Burberry trenches all significantly marked down. Here are some of my top picks from the Nordstrom sale. Nordstrom is one of my all time favorite places to shop, so rounding up these recommendations was a breeze. I would love to hear what you’ll be purchasing. Is it for you, or for someone else? Either way, it’s a great time to shop. Happy shopping! Thanks of sharing this sale. i love Nordstrom but can’t justify the regular prices. I will take advantage of this. I love this sale! I can’t stop shopping! !